This piece of boxing gear will stand up to years of use. Solo boxing training is fantastic for cardiovascular fitness because it requires interval training as you rest between rounds. A further benefit is that boxing training can reduce stress. Now all you need is a Confidence Multi-Purpose Boxing Stand to get started. Constructed from robust steel tubing and held in place with a powder-coated stand, this piece of boxing gear will stand up to years of use. Just make sure to stay within the suspended weight range of 20kg to 40kg for the entire stand. So long as you have your own wrench, the boxing stand can be constructed relatively quickly. Then, you just need to add the boxing pads you wish to use. 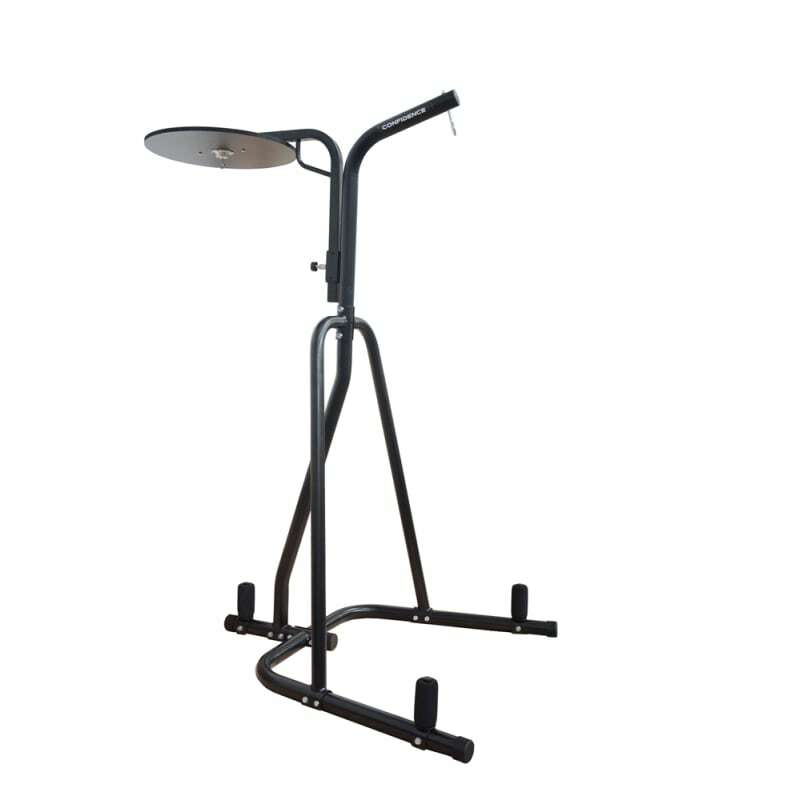 Transform your home exercise regime with a Confidence Multi-Purpose Boxing Stand. Interval training will boost your cardiovascular fitness.